"This is my next drops a bombshell, claiming that the next-generation iPhone will not be a minimal departure from the iPhone 4, like others are saying, but will be a completely re-designed phone, as Engadget reported earlier this year." This from a story at "This is my next..." and I have to admit I kinda like it. 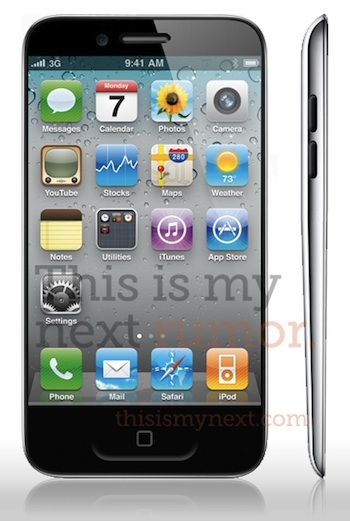 We don't get too involved in rumors around here but since it appears the iPhone 5 might not show up until later in the year, it's interesting to see what kind of mock ups are out there and eventually how close they come to the real deal. What are your thoughts, yay or nay?